MiamiBeach411.com is in a recently launched Google Advertising Campaign, the details of which can be found here. Google has been a supporter of our site since 2004, and we are honored to be chosen, among a few others, as a featured company. See a screenshot. The campaign is meant to drive acquisitions and bring high potential publishers such as yourselves into the Google Display Network. 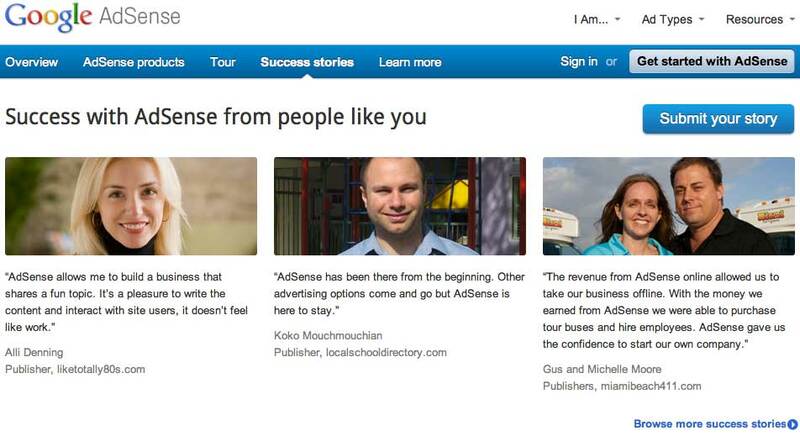 We have highlighted your personal stories as proof points that AdSense enables success for publishers in a variety of ways. I’ve been through some grueling auditions, but Google’s selection process had Michelle and I on pins and needles. I guess you could say it felt like a mix of being on “American Idol” for web publishers. The difference being, working at MiamiBeach411.com is an ensemble production. Fred Garvin, rk, Under the Sun, coach, GandJ, wpns4l. It’s been exciting to see how much the company has grown. To basically go from waiting tables at a restaurant full-time, and working on the site out of our apartment, to today, managing tours and transportation for over 3,000 people a month. Working with AdSense enabled us to quit our day jobs and dedicate more time and income to grow our business. In the past 6 years, we’ve hired 8 full-time employees, and 21 independent contractors. With more writers, more phone lines, and now Miami Tour Company, we get to SHOW visitors the Miami we love rather than just telling them about it. If there was something I was going to recommend, it would be to learn about Google’s entire suite of products, and see how they can assist you to grow your business. Since we’re travel-related, we have to manage thousands of different pick-up times and locations every month. Google Apps for Business allows us to have one central location to manage all the reservations. When a customer makes a booking, their details are immediately added to a Calender so we can see who is traveling with us at what time. We couldn’t get by without Google—AdSense manages our display advertising, and Apps For Business takes care of everything behind the scenes. Seriously, will a computer be driving the tour bus? No, we are still a few years away from self-driving tour buses, but Miami Beach 411 is serious about using Google Apps to streamline the travel experience, and providing our guests with first class sightseeing tours in their native language. To accomplish our mission, we need an amazing team in Miami, and software that is easy to use, and works on everyone’s computer. We got the “amazing team” covered. Thanks again to, Google, for giving us the technology and means to take our business offline. We are honored to be featured in the campaign, and we won’t let them down. Update: Google revised their AdSense section, with a different picture of Michelle and I, standing in front of our buses. "Miami Beach 411’s “Success Story” Is Featured In a Google Campaign"
Congrats, you guys! Love watching your success multiply. Much love to you! Congratulations! Miamibeach411 is such a unique entity and I’m happy to be a part of it. I’ve never seen anything quite like it anywhere else, and I’ve lived in a lot of different places. It’s truly a job of the 21st century! Congratulations Gus and Michelle! Google is awesome and so is 411! The google ads are so subtle, not like some other tacky, annoying ads you see online. And I love how we can write whatever we want (and we do! ), and we don’t have to worry about offending advertisers. Can’t wait to see the ad/interview! Congratulations! The miamibeach411 family is very special beacause of our fearless leaders (and visionaries!) Gus and Michelle! Much continued success and I feel fortunate to be part of the family! Way to go guys, you’re the best. It’s heartening to see other people realize it too! We’re very proud of you!!!! This shows how clever Google is as they picked you both! That’s all I’m sayin, Kid!!!!! That’s all I’m sayin! Best wishes Gus and Michelle! Google is remarkable and so are 411! 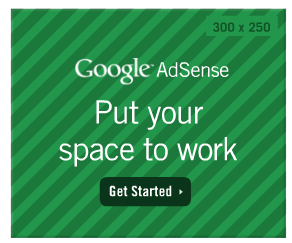 The Google ads are so restrained, not like some supplementary tacky, bothersome ads you see online. And I love how we can write no matter what we want. Thanks! Jony, brilliant observations. I agree 100% with everything you say! Congratulations Gus & Michelle!! You have both worked very hard to get where you are. I’ve booked a overnight tour to Key west from Nov. to Nov.2nd. I’d like to know if there is a possibility of staying 1 more night, and taking the bus back on the 3rd of Nov. My Order is:Id:20783. Thanks for checking it. Hi, Vivianne. No problem adding an extra night to your key West trip. We’ll send you a revised confirmation. Thanks for booking with us. Have a great vacation.